Heifer Int'l volunteer Laurie Heller explains Heifer's work to CSECC attendee Michael. Heifer International Sacramento participated in the 2012 California State Employee Charitable Campaign (CSECC) Kickoff non-profit fair on the west steps of the State Capitol. Since 1979, California State government employees have been provided the opportunity to make donations to an approved list of charitable organizations through payroll deductions. At the 2012 CSECC kickoff event, our volunteers talked with many enthusiastic state employees who has volunteered to implement the charitable campaign for their agencies. Some agencies are already planning to schedule speakers to provide more information to their employees and build interest in the campaign. Presentations and mini-fairs are a terrific way to introduce employees to the wide array of approved charitable organizations and inspire participation. Heifer Sacramento has a contingent of volunteers eager to speak about Heifer's work. Our presenters can work with the time constraints for each campaign event and include pertinent slides and/or videos, as needed. If you would like to request a Heifer speaker for your agency's campaign event, please contact us via email. (Please include your name, agency, contact phone, date and time of the event, and presentation length desired.) If colleagues in offices outside of the Sacramento region would like to request a speaker to represent Heifer International, please send us an email and we will do our best to connect you with a volunteer in the area. Heifer International is listed under the Global Impact Federation agency code 315 in the CSECC Donor Resource Guide. Thank you to everyone that stopped by to learn about the work of Heifer International and shared your enthusiasm for the campaign! Heifer will be represented at a booth on the west steps of the State Capitol from approximately 10am–2 pm by John Brewer, Laurie Heller, Pat Sayer-Handley, Teresa Fung, Cheryl McKinney, Judy Grimshaw, and Susan Sundell. Susan will bring the canopy. And estimated 2,000 state employees are expected to attend seeking information about charitable organizations. Cheryl McKinney created and added an insert to the Heifer brochure with contact information for materials and speaker requests from our local volunteer group. In addition, Teresa Fung sent an e-mail to the event chair for the California Department of Transportation (CalTrans) of our local volunteer group and our availability for presentations. Susan Rumberg and Judy Grimshaw will set up and staff the 7:30 am -10:15 am shift and JoAnn Peter and Susan Sundell will take the 10:15 am -1:00 pm shift, including clean-up. Volunteers are needed for the September 15th and October 20th shifts. You can sign up with Susan Rumberg or on Google Docs. At one of the upcoming meetings, late in the year, we will assess whether we want to continue our booth at the market. Matsuyama Elementary on Woodbridge Drive is requesting a school assembly after their donation of a goat and chickens to Heifer. More information will come about the date and other details. St. James Women’s Guild – More details are needed, but the date will probably be August or early September. Jill will be sharing, among other things, experiences on her recent study tour to Heifer projects in Kenya. She will also be answering any Heifer related questions or concerns volunteers might have. She may have more information about the transition of the Heifer’s Ceres property to EcoVillage Farm group. Plans are in the works for fund raising activities by Heifer volunteers, all in an attempt to reach our goal set for $10,000. We are hoping to post our progress on the Team Heifer website but will also keep a running account in the monthly minutes. For example, over $800 was donated to Heifer in honor of Amy Flindt at a going away party at JoAnn Peter’s house this summer. We are off to a good start! Pat Sayer-Handley is considering a hiking activity in the spring and John Brewer has a “Fun Raising” event in mind. Judy Grimshaw will be inviting Dr. Elizabeth Erickson from CSUS to explain and identify how students in her “event planning” class might partner with us on fund raising events in the future. John Brewer and Sue Bennett helped at the Heifer booth. John reported that it was a great event with thousands of women in attendance. 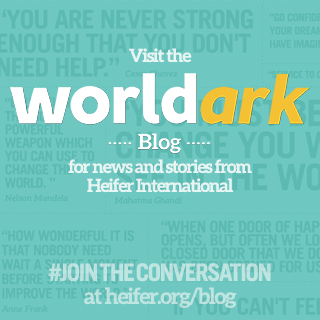 AKA is partnering with Heifer International this year. A study tour to Ecuador was raffled off at the convention. The AKA convention is held every other year in various places around the country. Post-meeting note: There is a Sacramento chapter of this group. From their website: "The women of Alpha Kappa Alpha Sorority, Incorporated, Eta Gamma Omega Chapter, of the Sacramento area strive to improve the many communities in which they live. The chapter has been established in the community since 1958 and that long-standing history has brought many changes by the organization, with the collaboration of others, for community improvement. Our vision is to deliver valuable services that strengthens our community and encourage positive social, educational and economic development." Volunteers worked the booth during the lunch break 11:30 –1:30 pm. Although we hoped for more activity at the booth, it is important we are there because of support of UCM to Heifer over the years. We are waiting for a response to our inquiry regarding a visit. There was discussion regarding official support for this proposition, which would require many foods sold in California to be specially labeled if they were "made from plants or animals with genetic material changed in specified ways," according to the California's official ballot summary. Thanks for sharing on this one, Suellen. I have noticed lots of discussion amongst Slow Food and organic farming folks around this issue! While Heifer does support the notion of open source seed populations, and the concept that small scale is part of our solution for ending hunger and poverty, I would be very surprised to see the organization step up and endorse a specific piece of political legislation, as it 'can' put a 501.c.3 tax exempt status in jeopardy. Teresa Fung will post articles or event photos contributed by volunteers about Heifer activities on our local blog. She has been posting the monthly notes from volunteer meetings and reposting press releases from headquarters. She will be posting an article from the Sacramento Bee about a 6 year old girl, Patricia Bigge, from St. Andrews United Methodist Church who was inspired to ask the congregation to help her raise money to donate a cow through Heifer International. Cheryl will be sending the church a thank you note and information about our local volunteer group. Posts can be read in chronological order – or in topic groups, such as “blog series: from the ceo” or “where we work: the Americas.” The blog is dynamic and shows the latest happenings and issues. "A global blogging adventure to visit Heifer International projects in 12 countries in 12 months in 2012." Great photography and interesting posts by Betty Londergan, who is currently visiting her seventh country: the USA. She is covering the Seeds of Change projects in Appalachia and Arkansas. Fascinating. Teresa Fung will work on revamping the accounting system for volunteer hours to make it easier to use and less time consuming. We will ask Jill for input at the next volunteer meeting. VllI. Next meeting Monday, Sept. 10, 2012, Campus Commons Board Room 6:00 pm.